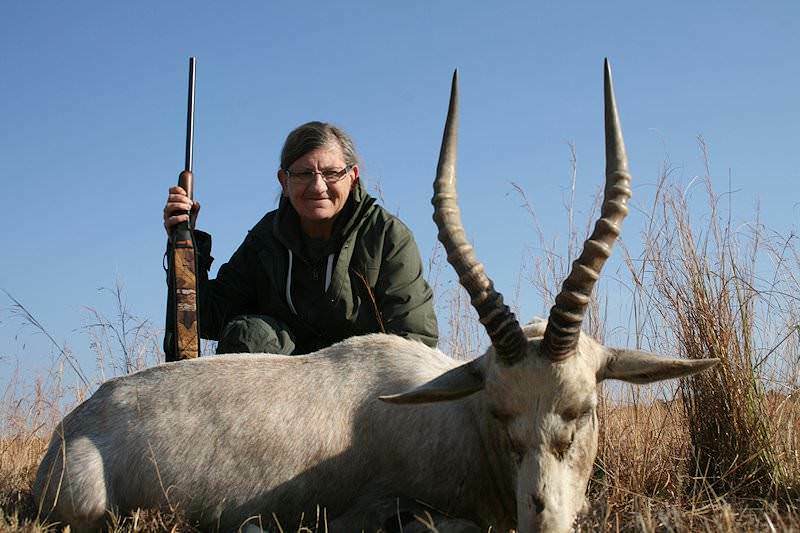 White blesbok are a color variation and not a sub-species. 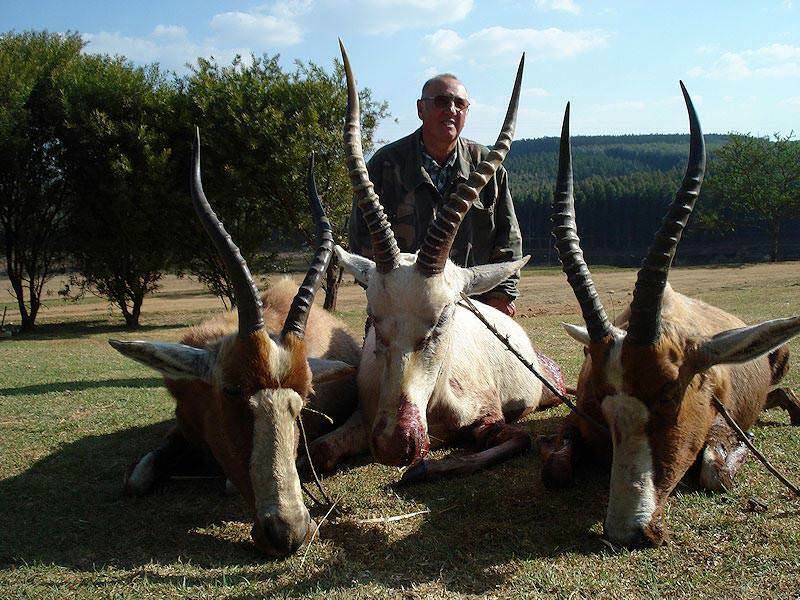 They can be hunted in all areas where common blesbok occur. 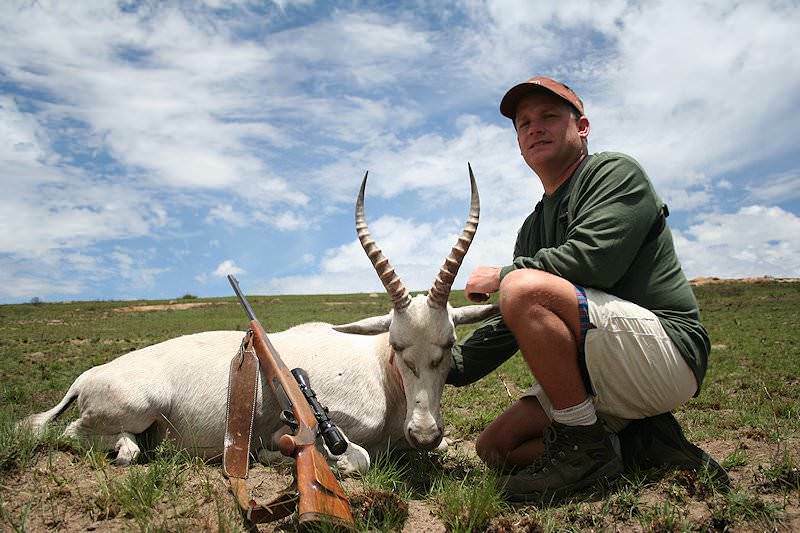 All that has been said regarding hunting the common blesbok and the bontebok, can be applied when hunting the white blesbok. A mutation in color, the white blesbok is not an albino, but rather merely a variation in color known as a 'morph' species. 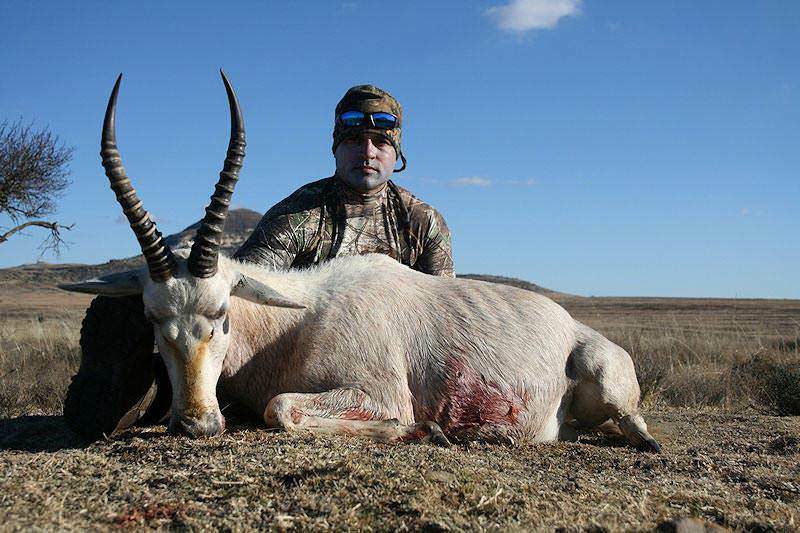 Hunters can find the “white” mixed in with a herd of common blesbok. He exhibits the same territorial tendencies; challenging displays, threatening behavior, and marking of the grass with his pre-orbital glands. 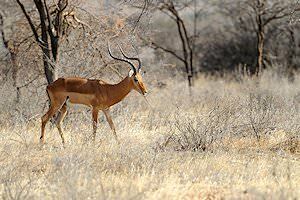 He prefers to graze on short grass, especially that which is newly sprouted from burnt out areas. 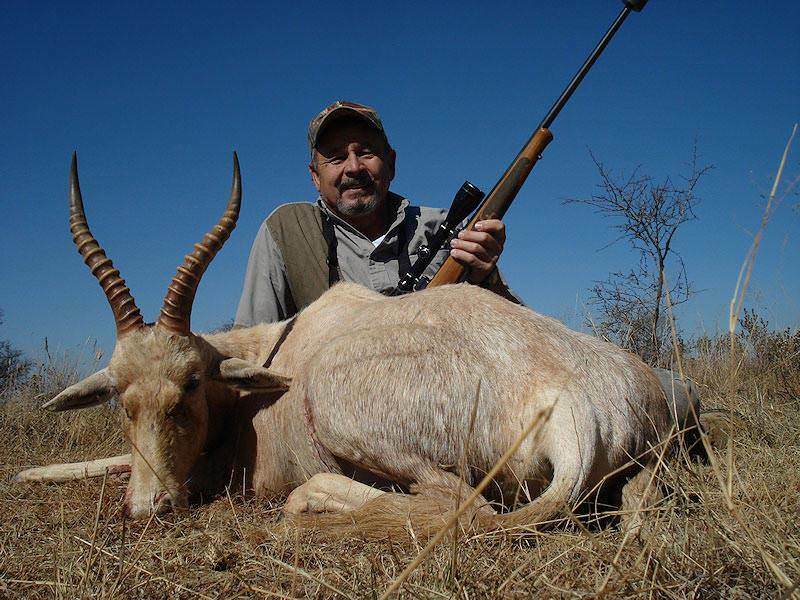 All blesbok feed during the cooler morning and evening periods, tending to rest during the heat of the day. 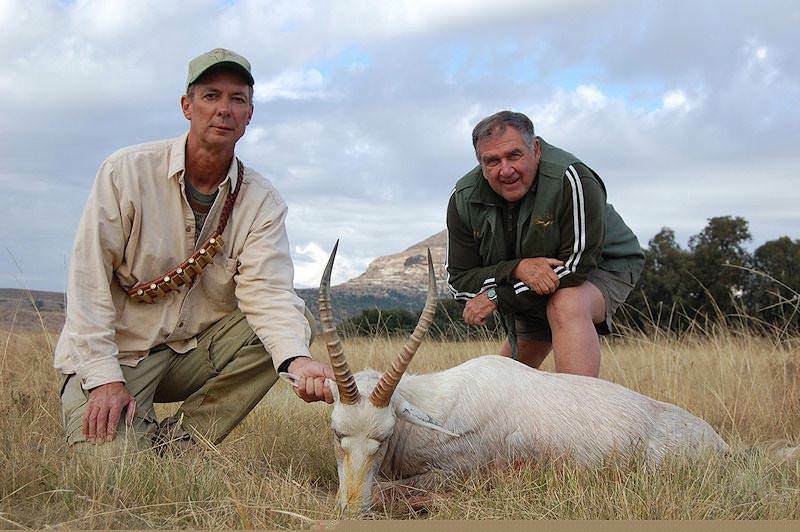 Hunting white blesbok is best accomplished during the afore-mentioned period; set up on approaches to feeding areas or water. 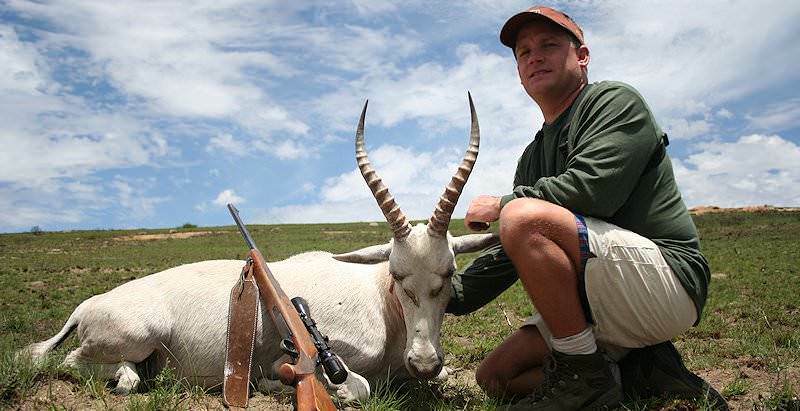 You can use your favorite deer rifle when hunting the white blesbok. Quality expanding soft-point bullets suitable for your caliber of choice will be most effective. 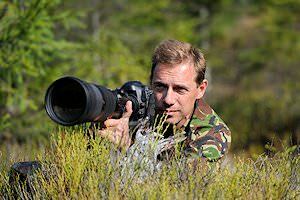 The high heart/lung shot will be the ticket here; take aim directly up the foreleg about one third and squeeze. 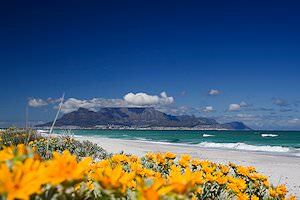 Never shoot above the half-way point or you may be in for a long day. 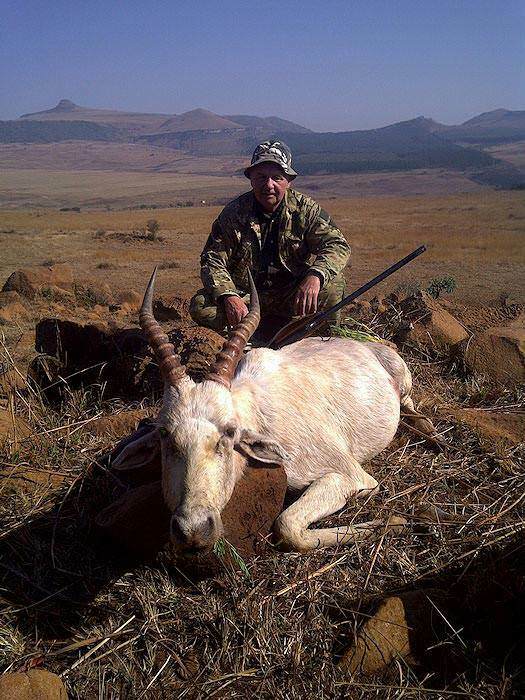 Hunting white blesbok can net you a very unique trophy to hang next to the common variety. 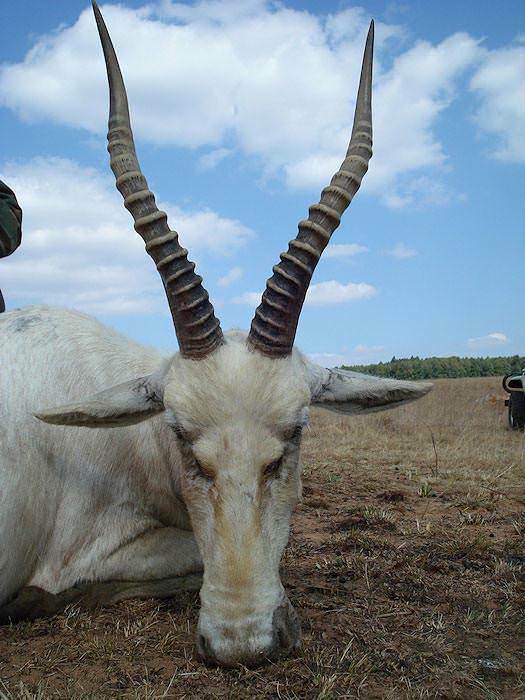 His white color and straw-colored horns set him apart from his common brothers. 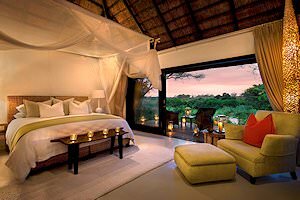 This package is ideal for first-time hunters to Africa looking to cut their teeth on a fine selection of more unique plains game species. 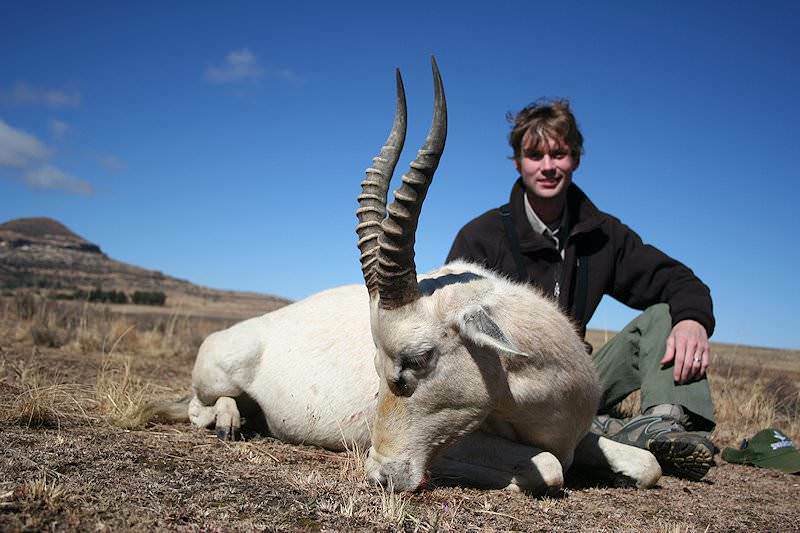 Hunt across the grassy plains of the eastern Free State for black wildebeest, springbok and white blesbok.